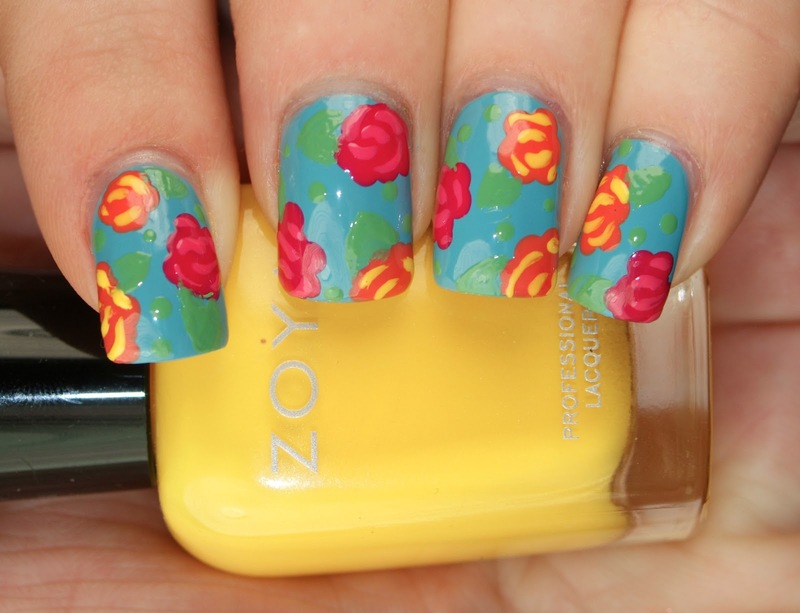 Hump day has arrived and I have for you one of the brand new collections from Zoya. I was sent the Stunning Collection from Zoya HQ, which consists of all bright creme polishes, and immediately went to work swatching! First up is Thandie, a dusty tangerine creme. The above is with two coats. I thought this was a fairly pretty shade, but I had a bit of a formula issue. It was pretty thin and applied streaky, but I managed to even it out, so it can be worked with. Next up is Darcy, a dandelion yellow creme. The color is pretty, but I had the same formula issue that I had with Thandie. However, this one required three coats to even out and even then, it was a little gloopy. Yana, a rubine red creme, is gorgeous. The formula on this one was great and it was opaque in two coats. I loved the name of this polish, mainly because I'm a Doctor Who fan and Professor Yana holds some major significance in the Whoniverse. You are not alone, my fellow Whovians. You are not alone. Next up is Josie, a grassy green creme. The formula on this was equally as good as Yana and was opaque in two coats. This is such a pretty shade that you can wear in the spring or summer. Loved it! Last up is my favorite of the collection, Rocky, which is a serene sky blue creme polish. I loved everything about this shade: the name, the formula, the gloss. Opaque in two coats, I think this is the star! After swatching the six shades, I was inspired to do some nail art. So here are two fun looks, one delicate and one funky. This is my shabby-chic floral look, a tutorial for which will go up later in the week. And this is a little funky tie-dye, inspired by Sarah of Chalkboard Nails. This reminds me of all of the times I tie-dyed clothing at summer camp. Although, I never managed to figure out how to make the spiral! Oh, well. Maybe one day! The Zoya Stunning collection is currently available for $8 on Zoya.com. The full set is $48. 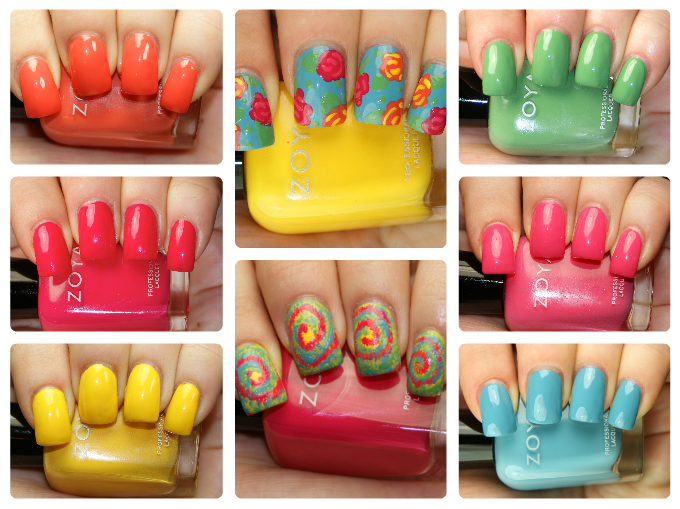 So there you have it: the Zoya Stunning Collection. What are your thoughts? Josie is a delicious looking green! Still want to accomplish my 2013 resolution of owning a Zoya and Josie is just making it more unbearable that I don't own any! ...Oh, and please never stop being a nerd! I was wondering how you thought zoya rocky compares to zoya robyn??? Announcing: The Comment of the Month Giveaway!